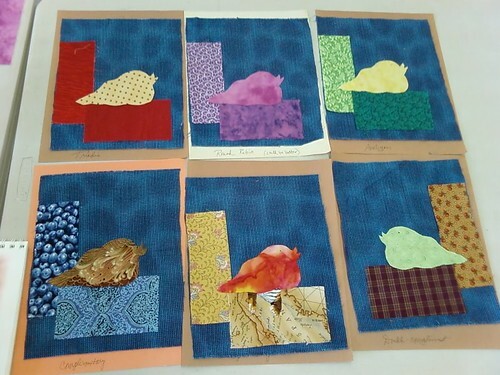 Here are the promised photos of my Easy Art Quilt class at Sharptop Arts Association in Jasper. I’m so proud of these ladies as none of them used traditional quilting fabrics available in quilt shops, but fabric they already had on hand or purchased at discount stores. We had such a great time and I’ll be doing it again this winter, so look for the schedule on my website soon. This entry was posted in Workshops on November 15, 2007 by mpeagler. Fall is a wonderfully productive time for me, with cool weather, the promise of a new season, and my kids happily learning in school. I’ve been busy designing and making projects, writing, teaching . . . life is good. And all of it is for you, dear reader. I’m working on a book for quilters that is all about you. Not about me, my projects, or my process, but about making your projects better. I know, I know. It seems like every blogger is coming out with a book. I even get tired of reading about them. So what makes mine different? I’ve written every word, designed every project, and taken every photo with my students in mind. I’ve remembered their challenges, their questions, and the delight in in their eyes when I open a new window of opportunity and adventure for them. The book is a long way off – I’m still deep in the middle of it. But that’s why you haven’t seen much in the way of new quilts on my website: 2007 has been the year of the book. I haven’t mentioned it until now because I really did tire of self-promoting bloggers who post only when they are trying to sell you on their latest product. But hopefully we’ve developed a relationship over these last months and you know that is not how I work. I decided to talk about it now simply for personal reasons. If I don’t share about it soon, I’ll absolutely bust! 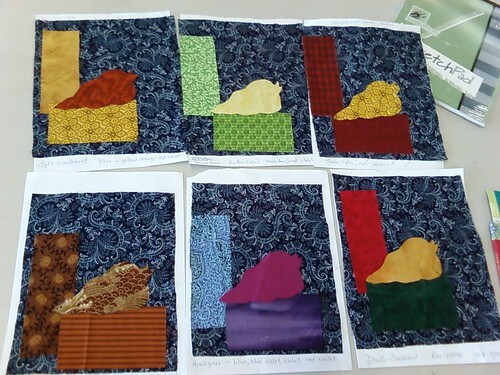 My goal is to finish the projects and the writing by the end of the year, when I’ll send the manuscript to the editor and have the quilts professionally photographed. Wow. Okay, it’s real now. I’ve shared the new project with you. Now I’ve got to get back to work – the book awaits. 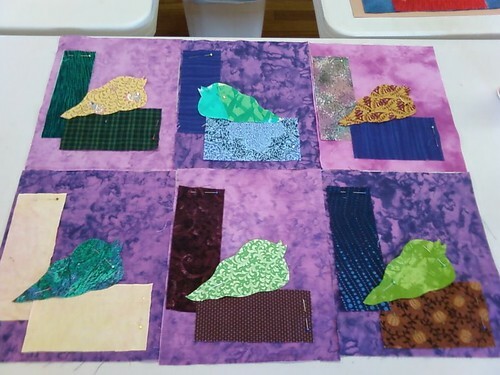 This entry was posted in Quilting, Workshops on October 18, 2007 by mpeagler. Tuesdays in October I’m teaching fiber arts classes to a wonderfully diverse group at Sharptop Arts Association. 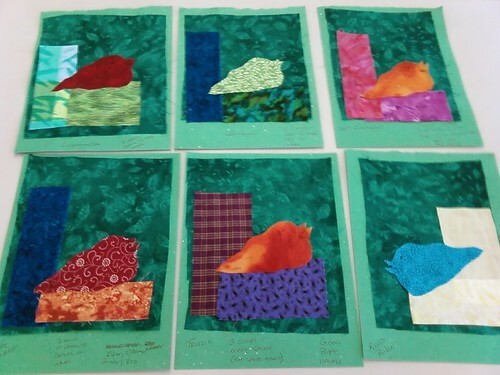 The first two weeks were Color for Fiber Artists, and I promised photos to show the projects from my students, but I was so busy teaching I forgot to take results photos. I’m a bad blogger – so sorry. I promise to be a better blogger and deliver results photos next week. To register for my workshops, check out my Schedule page on my website. It lists my latest workshops, dates, locations, and where to call to register. Let’s make some quilts! This entry was posted in Workshops on August 22, 2007 by mpeagler.